We know it’s been a while since we’ve posted, but we think you’ll forgive us because we’ve been working tirelessly on two initiatives that will help with your email efficiency and productivity! First, we’ve made Wordzen compatible with your mobile device. You can now use it from your iPhone or Android, ensuring that your emails are still perfectly crafted even when you’re on the go. We’ll have another post with more on that later. 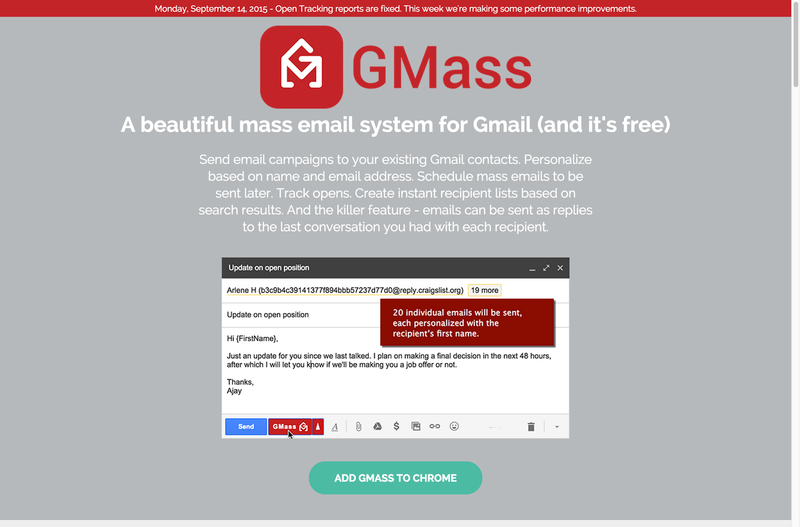 The second initiative we’ve been been working on and are incredibly excited to share with you is a new Chrome extension called GMass. GMass is a full-fledged mass email and mail merge system for Gmail from which you can easily send mass, personalized, trackable emails to your Gmail contacts. Installing GMass is quick and easy, and doesn’t require you to sign up or log in. You can use it directly from your Gmail account. In the 11 days since its launch, it’s been very well-received, even climbing to #6 on Product Hunt on September 3, 2015. What’s more exciting is that Wordzen and GMass work together. 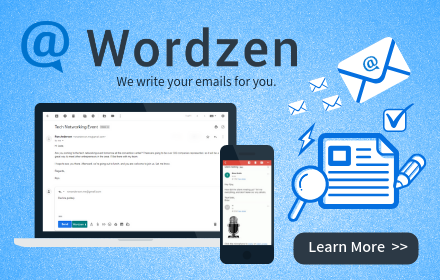 If you’re sending an email to multiple people, first “Wordzen” it to ensure that it’s written in perfect English, conveying the proper tone, and then “GMass” it to send your message with personalization and tracking! You know products must be good when you can verbify their names, and we look forward to hearing how you use Wordzen and GMass together to improve your daily messaging.